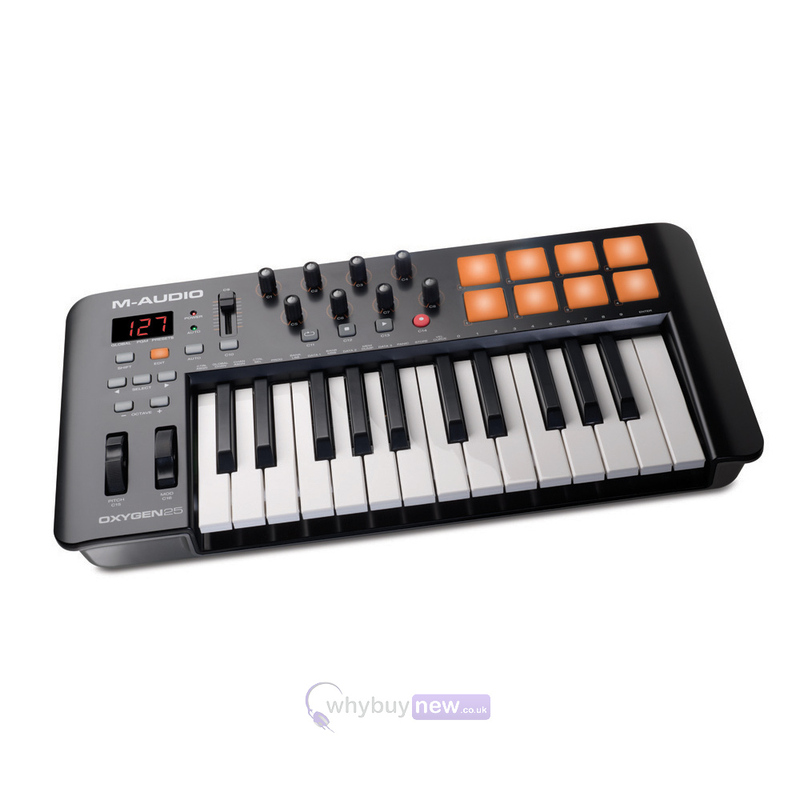 The Oxygen series combines a velocity-sensitive keybed with a series of 8 trigger pads. 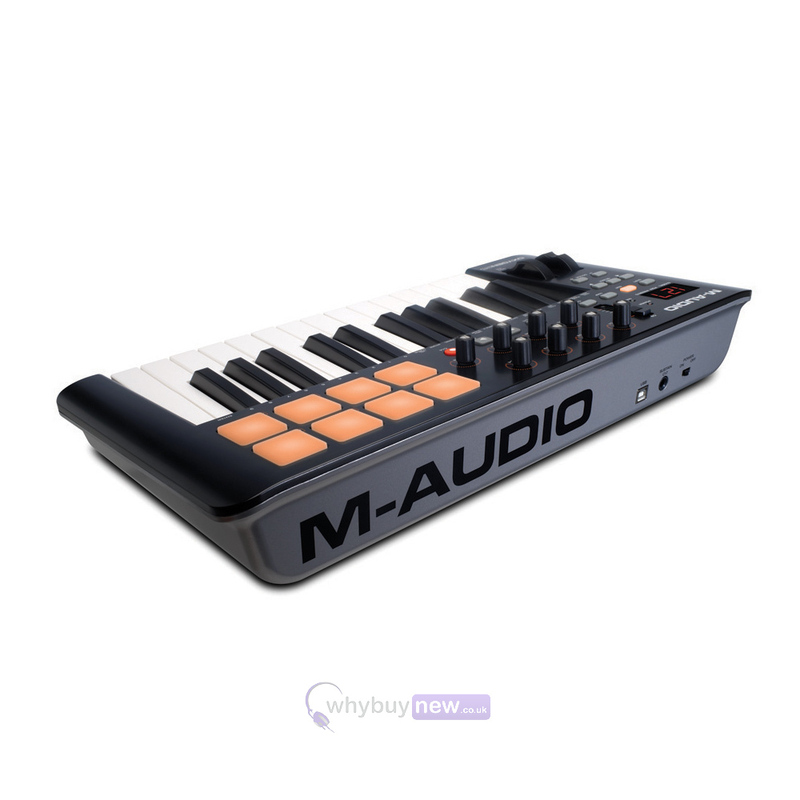 Used for launching audio clips, triggering percussion sounds and more, the pads also provide velocity-sensitive response and illuminated feedback. Control capabilities expand with 8 assignable knobs - perfect for adjusting plugin parameters and mixing tasks. 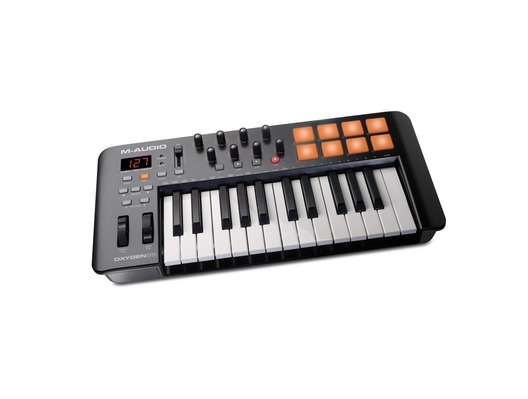 The Oxygen 25 features an assignable master fader, in addition to an LCD screen and transport controls for seamless operation with digital audio software. A 6.3mm (1/4-inch) sustain input jack is built in for expressive performances. As part of this promotional offer in collaboration with Plug & Mix, we are proud to offer you 5 P&M V.I.P. Series Plug-ins for FREE. As there are 50 different V.I.P Series Plug-ins to choose from, we suggest you take your time to carefully try them out and select the ones that will best complete your studio set-up; simply download the full P&M V.I.P bundle as a demo and choose your 5 favourites! You dont need to authorise all 5 plug-ins simultaneously. You may authorise them one after the other at your convenience, as long as they are all authorised before the end of the promo on 31st August 2018. 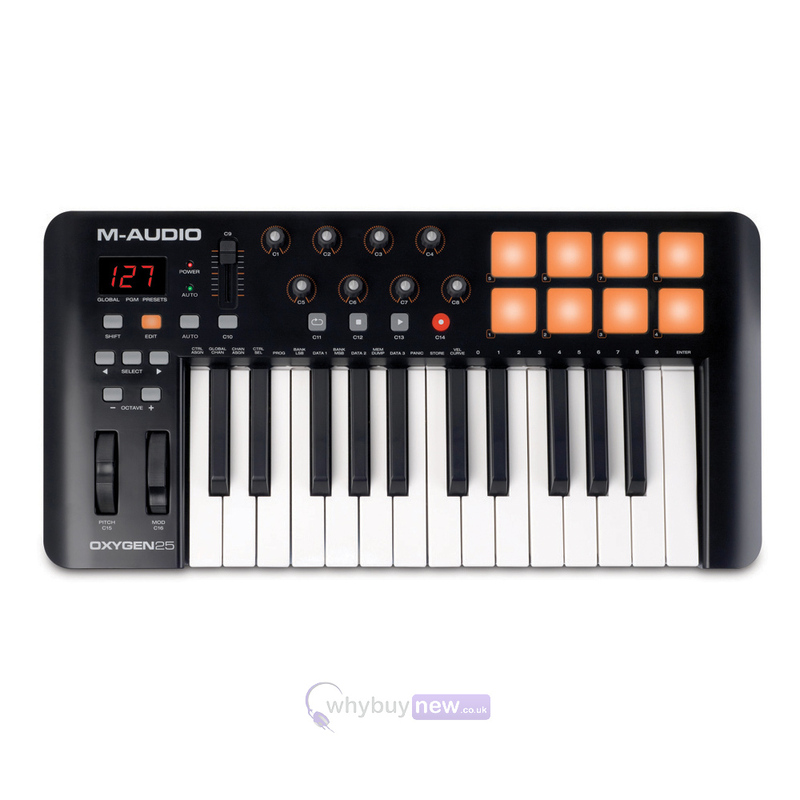 (you must use the same email as the one you used to register your M-Audio product). Offer does not apply to B-stock versions. 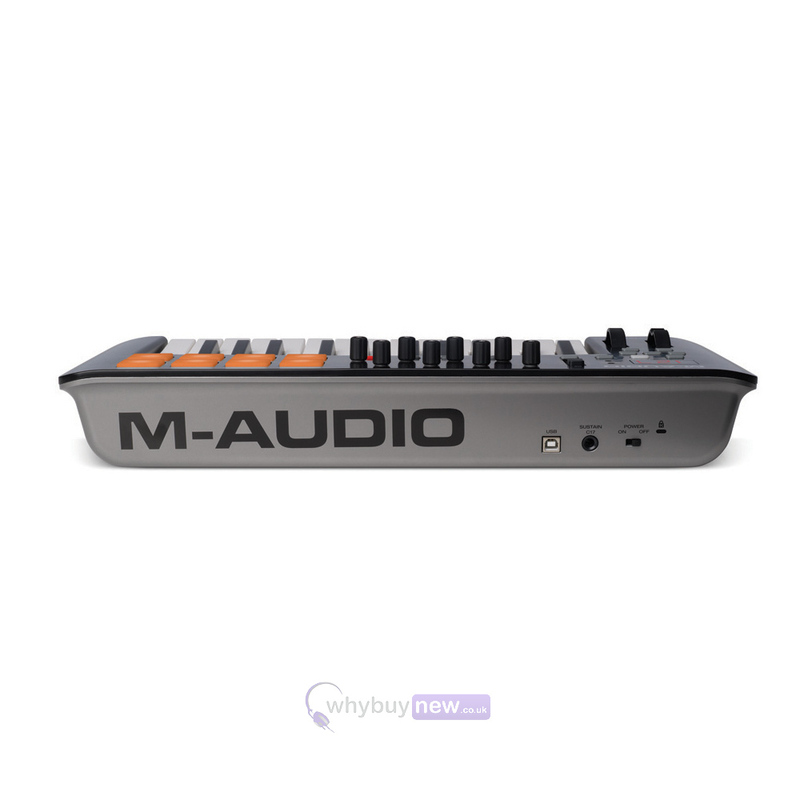 Here we have the M-Audio Oxygen 25 v4 in brand new condition and in B-Stock. The B-Stock versions would have been on display at a training evening or trade exhibition only and will come boxed 'as new' with all accessories and a 1-year warranty.